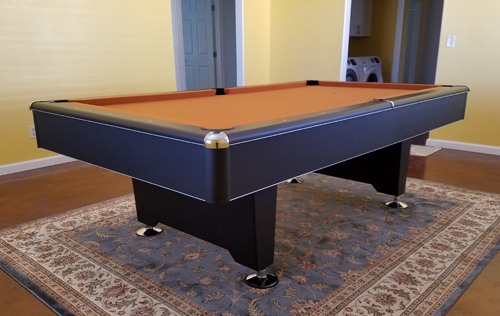 This Modern Style Pool Table is by far one of the most popular pool tables around. It has 6 inch wide all mica top rails with mother of pearl sites and K-66 profile natural gum rubber cushions. The corners are nicely completed with metal corner caps. It has metal beam frame construction, features a 3 piece 1 inch thick slate and comes with a ball storage area.